Lalaloopsy Girls Doll Styling Head Jewel Sparkles Just $6.85! You are here: Home / Great Deals / Amazon Deals / Lalaloopsy Girls Doll Styling Head Jewel Sparkles Just $6.85! Get a fantastic deal on this Add-On item! 73% Off! Head to Amazon to order a Lalaloopsy Girls Doll Styling Head Jewel Sparkles Just $6.85! Get FREE shipping on orders of $35+ or if you are a Prime member! 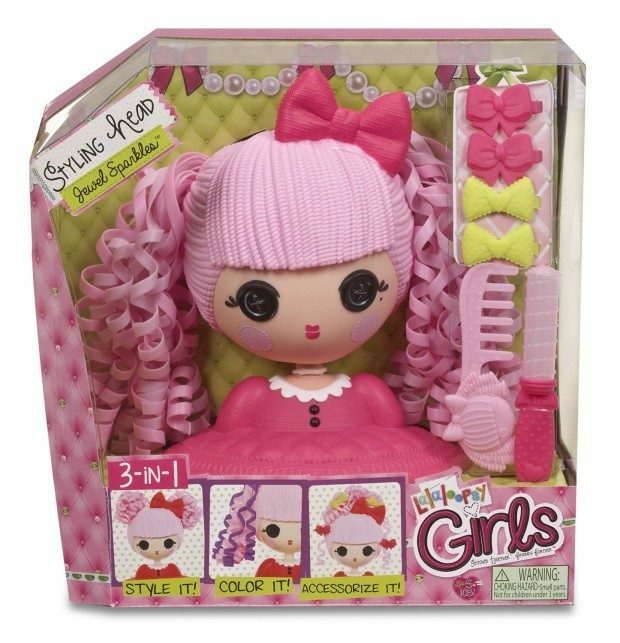 The Lalaloopsy dolls were once rag dolls who magically came to life when their very last stitch was sewn, taking on the personalities of the materials that were used to make them. Now they’re a little older, a little more colorful and a little more quirky – they’re Lalaloopsy Girls!